Images and videos are being very commonly used in the website and blogs, as it adds a lot of value to the articles and a reader could connect and understand better with reading the images.So embedding some relevant images to the website is not a bad idea at all. Embedding Images and videos are being a regular these days, and it is quite useful too as those are being hosted on some other websites. Which does not effect to your site where it got embedded, it won’t be increasing the HTML file size. Which results in the better loading speed of the site. Separation of all codes, which decreases the script volume, and obviously a good thing for the site and the developer too, for maintaining and modifying going further. The site has to make the HTTP request to get the code. There are plenty of ways to embed a picture, here we will look into an easy way how to embed a picture from Google Photos. So far Google Photos has not incorporated any feature of embedding the pictures in their app. But there is the solution for it, an app which is developed by Amit Agarwal, owner of CTRLQ and LabnolDigital Inspiration) converts an URL into an Embed Code. 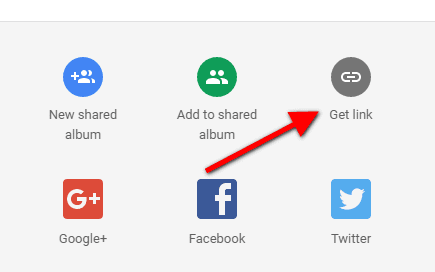 Which allows us to embed Google Photos quite easily to our website. Click on one of the images which you want to embed on your website. As the Image opened, you will be able to see some feature icons at the top right side, click on the share icon, then a window will pop-up. Click on “Get Link” button. Doing that one more window will appear showing social sharing icons and a shortened URL of the image. Click on Copy to copy the URL to the Clipboard. Now Go to CTRLQ.org developed by Amit Agarwal. Paste the copied link(URL) in the provided space and hit the “Generate Code” button. Now the above action will generate two Codes “Direct Link URL” and “Image Embed Code”. Copy the Image Embed Code as we want to embed that image to the site. Go back to your site and paste it in the HTML mode, where you want to see that image. 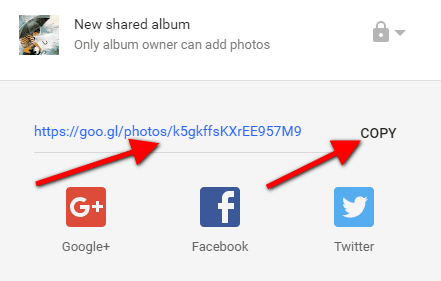 Following these steps will complete the Google Photos embed process. This is definitely a much more organized way to maintain your website. Glad to see here, and I do appreciate your kind words.